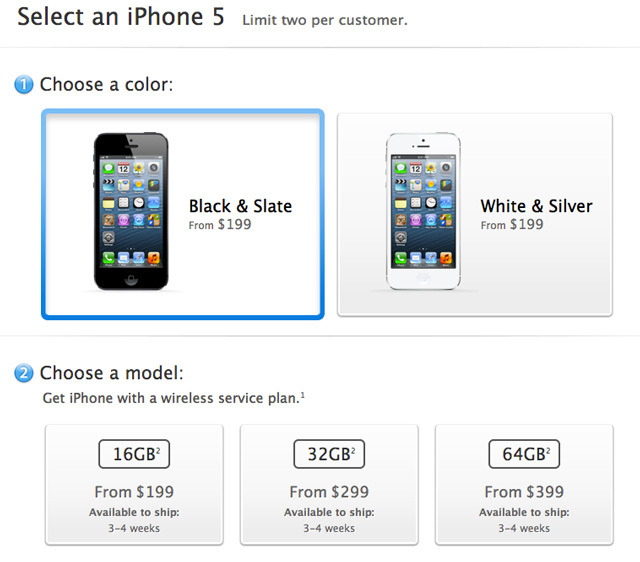 Hope you already ordered your iPhone 5 . Apple just updated the shipping estimate, pushing the window for all variations from 2-3 weeks to 3-4 weeks. And with good reason, too. It’s a great phone. It’s the best iPhone yet per our MG Siegler and Engadget’s Tim Stevens. It’s much more than just a taller iPhone 4S. It’s faster, lighter and generally better than the iPhone 4S in every aspect. The phone is going to be a hot commodity for the near future, but there is still a chance you can get the phone on launch day. At this point, if you absolutely must have an iPhone 5 on the same day it’s unleashed upon the masses, your best bet is a retail brick and mortar store. Forget your city’s main outlet. Look for the small, but still official, Verizon, Sprint and AT&T stores generally staffed by just a few people. It’s rare for customers to line up extra early outside of these small satellite stores. Still, this Friday, show up before the store opens for your best chance to nab the next Jesusphone.